Madison WV's Provider of Custom Barns and Buildings! 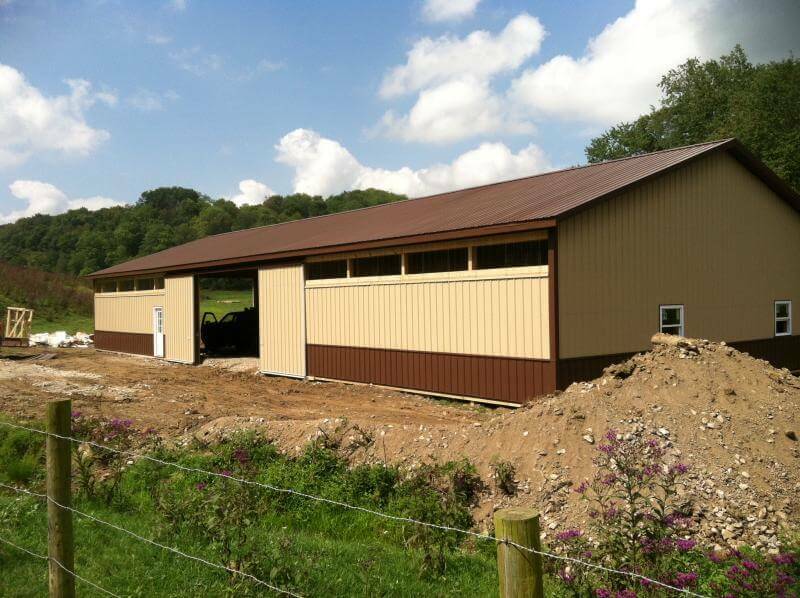 As one of the leading custom agricultural barn builders in Madison WV and surrounding areas, we offer building solutions for all of your commercial and agricultural needs. Our team of industry experts have the experience that has given them a seasoned understanding of what farm producers value in their barns. Here at Eastern Buildings, we combine the most advanced technology with old fashioned principles to give you the best in pre-engineered buildings. We have established ourselves as providers of top quality custom pole buildings to residential, commercial, and agricultural customers. Serving the Morgantown, Charleston, Parkersburg, Fairmont, Wheeling, and surrounding areas, we guarantee we have a solution for you.